When you set up a new Divi website your footer will have credits for Elegant Themes and WordPress added by default in the bottom footer bar. If you do not want to have “Designed by Elegant Themes | Powered by WordPress” text in the footer, it is very easy to update with your own text and links or to remove completely. 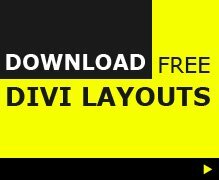 If you are using the Divi Theme (version 3.0.1 updated 09-08-2016 ) you can use the Theme Customizer to update the Divi footer credits. Prior to Divi version 3.1, the only way to edit these footer credits was to edit the Theme files, but these would get over-written when you updated Divi. So, the solution was to use a Divi child theme with a copy of the footer.php where you would make your changes to the footer credits. As almost everyone wanted to edit the footer credits, it meant that almost everyone needed a child theme. 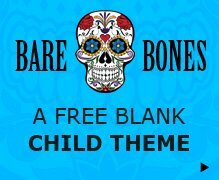 Many people still believe you need to use a child theme by default, but with this and so many features added to Divi, it is not always necessary, so check if you need a child theme or not before adding one. Are you allowed to remove the “Designed by Elegant Themes | Powered by WordPress” footer credits? Yes, you are allowed to edit or remove the footer credits as you wish. WordPress is an open source software so you have no worries there, and Elegant Themes included the options to edit or remove the footer credits in the theme customizer and have no problem with users doing so. The easiest option to remove or edit the footer credits is to use the Theme Customizer.